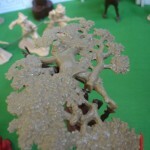 The Character figures from “The Royal Oak” Playset. King Charles II hiding in the tree, King Charles I, The Priest, The Executioner. This set now reverts back to the 8 figure set. all sets are £5.50 a box. set no 1, Royalist v Parlimentarians. Both contain 16 assorted figures. Artillery sets contain 1 cannon. Cannon crew sets contain 4 sets of 4 crew, 16 figures in total. 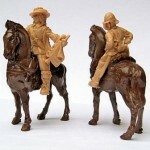 All mounted sets contain 4 mounted figures on 4 horses. for photos, see our A Call to Arms page. 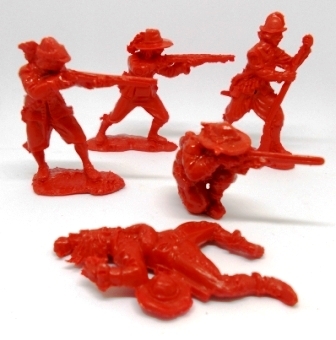 Pikemen £5.50 16 figures in 7 poses. 16 figures in 7 poses. 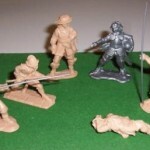 Royalist Musketeers £5.50 16 figures in 4 poses.